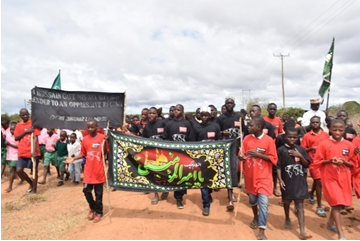 Muharram is the first month of the Islamic calendar, this is the Month where Muslims commemorate the tragedy that befell the household of Prophet Muhammad peace be upon him and his progeny. The grandson of the Holy Prophet (s.a.w.w) Imam Husayn (As) son of Ali bin Abi Talib (a.s) and Fatimah (a.s) Bint Muhammad (s.a.w.w) was martyred on 10th Muharram 61 A.H in the plains of Karbala by the army of Yazid bin Muawiya. This tragedy of Karbala, as is famously known, presents the everlasting struggle between right and wrong – justice and injustice. This struggle is inevitable in every human being. There exists an inner voice in us that tells us to do good and act justly on one side. And on the other hand, another tempting voice that commands us to do the opposite. It takes an independent minded person like Hur ibn Yazid Ar-riahi (r.a) who, all along was serving under Yazid’s army, to change his mind and join Imam Husayn’s (a.s) camp. 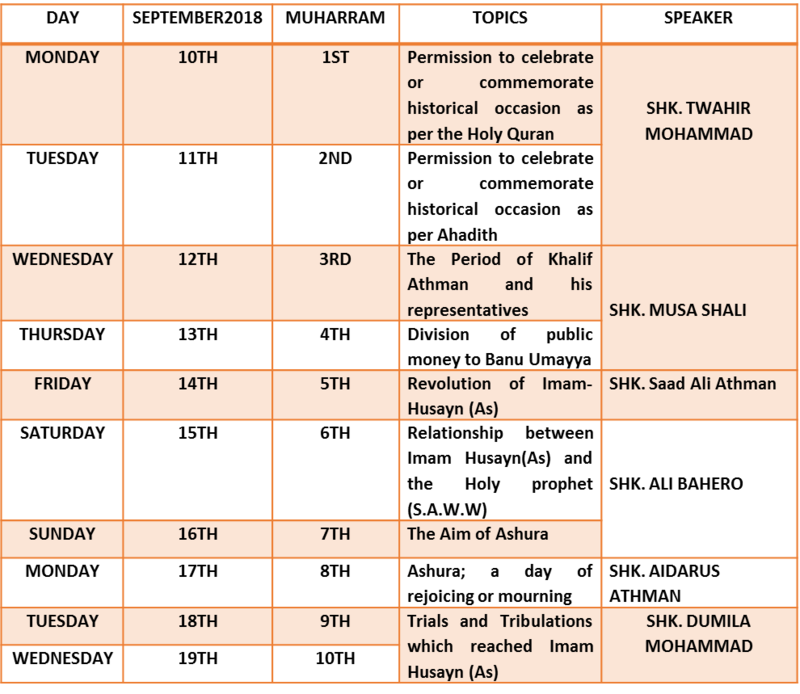 During the first 10 days of Muharram, the Mission organized special programs in the evenings. 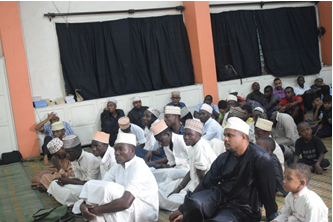 The program started with recitation of the Holy Qur’an and poems in Kiswahili. A speech was delivered thereafter. The speeches dwelt on understanding the household of the Prophet (s.a.w.w), Imam Husayn (A.s) and Yazid of today and the importance of emulating Imam’s life. The program ended with recitation of Ziyarat and niyaz. Majaalis were conducted in the evenings in all the 15 BMMK centres for the first 10 days of Muharram. Centre In-charges and officers from the Quality Assurance and Standard Department (QASD) joined hands in taking part in activities and were assigned to different centres. 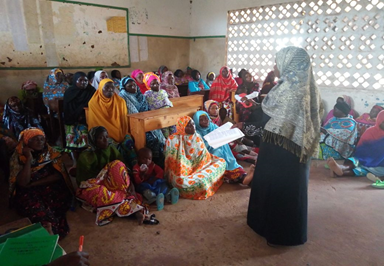 The Mission also hosted special programs for ladies that were facilitated by Mubalighat from Zahrah Madrasah of Mombasa in collaboration with sisters from WIPAHS of Tanzania. These Majaalis for ladies had a great impact, Alhamdulliah. The 10th day of Muharram also known as the day of Ashura marks the death anniversary of Imam Husayn Ibn Ali (a.s), a 7th century revolutionary leader who was martyred in the battle of Karbala. The day of Ashura is mourned by millions across the world to remember Imam Husayn’s valiant stand for the social justice, against a corrupt tyrant called Yazid. 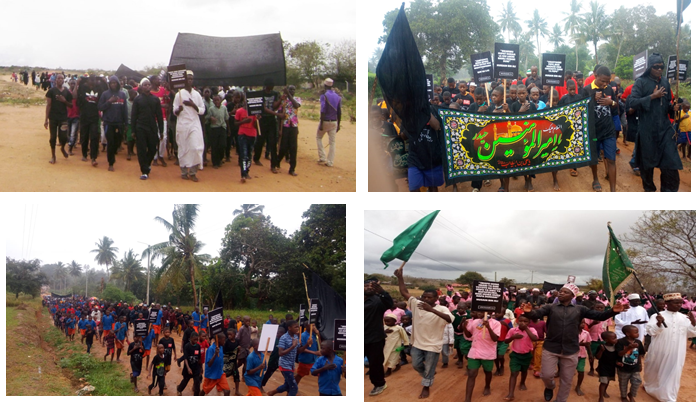 Observing this important day in the Islamic history, mu’mineen walk long distances carrying banners and reciting poems in their respective languages and dialect, Amaals were also conducted in all the centres thereafter Majaalis were recited after dhuhrain prayer and mu’mineen were served with niyaz and water. The media team from the Mission also took part in recording the Muharram activities in the centres . The peak of the day was a speech by Ustadh Hassan Rocky who took the crowd on a mental journey depicting the events that culminated into the tragic martyrdom of the grandson of the Holy Prophet (s.a.w.w) – Al Imam Husayn bin Ali (a.s). The Mission wishes to thank you for your continued support in all our activities.